This is in sharp contrast with the experience of many small business owners. I hear all the time about being beat up on price, having to price services in competitive bid situations near the bottom, and many other such war stories. As you can imagine, I often am advising clients to compete on value versus price. Just how does one go about this? “How is this possible? Like almost everything in pricing, human psychology is at the root. For example, when was the last time you used price to decide where you were going to have a medical procedure done? When was the last time you even knew the price of the service before going in? Let’s focus on several key words and phrases from the quote. Human psychology. If you are sharp enough to have built a target market strategy, you have surely thought through who you want to serve. What is often overlooked, however, is how and why people buy. As is pointed out, consumers have habits. Observe the habits and then customize your approach to what you see. Insurance company pays. This fact is significant because it illustrates that many buying decisions are facilitated by removing the consumer from having to make a painful (excuse the pun) choice. Think of software as a service as another type of business wherein the monthly $9.99 or whatever you allow to be charged to your card on file is “out of sight, out of mind.” How can you make purchasing easier and less “thinky” for your customers so that the decision is almost automatic? 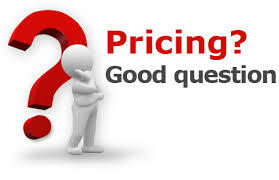 Do you have something that could be billed on a recurring basis at a lower price point? But don’t. In describing how healthcare consumers do not look around for alternatives, Stiving makes a keen observation. Even when alternatives exist, they are often not sought out. Those who study consumer behavior far more than me would point out that the trouble associated with switching to something new holds many buyers back from changing to what may even be a better value. How can you use this behavioral paradigm to your advantage? Can you make it easier for others to but from you instead of the competition? How can you make it harder for existing customers to stop buying from you? Finding a way to address these three issues in your own business will pay off. As you are able to make inroads, you will find that your pricing becomes justified and that you won’t have to fight as hard to maintain price integrity. Day recommends the following 8 means to attract and retain top creative talent. Consider how many of these practices may be good human resources concepts that would apply across the board! Creative people yearn to make one thing more than any other. A difference. They want to solve problems they believe are important. Ten years ago, Netflix and Blockbuster were in the same business. The difference lay in their respective visions of the future of movie rentals. Internet-supplied delivery at your convenience? Or rainy Thursday nights staring at an empty shelf in a store? Which set of problems would you rather solve? In Daniel Pink’s excellent book, Drive, he explains that many creative people are in fact demotivated by money. 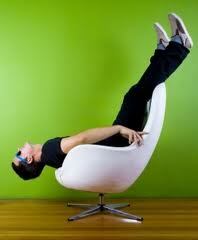 In some cases it makes them perform worse, because when a task becomes “work,” creative people tend to feel restricted. As a manager, focus whenever you can on highlighting the intrinsic value of solving a client’s problem. And when your company decides it must “do it for the money”–an economic reality in virtually every business–be mindful of the impact this has on your most creative people. There is a time to spend money. Paying “below the market” shatters trust. Many companies ignore this truth, underpaying early on when the company can, then overpaying later in order to keep talent locked in place. This builds suspicion and destroys loyalty. Instead be relentlessly pro-active in maintaining market-parity compensation, with bonuses for extraordinary results. At Rosetta, one of the industry’s fastest growing interactive agencies, the rigor of the employee review program stands in stark contrast to most creative businesses. Employees are measured on a set of four published benchmarks that encourage both personal initiative and collaboration. The system is transparent and consistent. At the end of the year, everyone is evaluated and rated against their own peer group at their own level. This ensures that every employee has a clear understanding of how much progress they have made. According to a recent Harvard Business Review study, nothing matters more to ambitious people. Gallup Organization research has shown that most people become less engaged with an organization over time. Nothing dilutes loyalty more than a company’s willingness to support under-performers. Be relentless about improving or firing the weakest links and raising standards and expectations. It attracts and unlocks greatness. Google famously attributes its growth to the investment it’s made in allowing 20 percent of engineers’ time to be used for anything they want, so long as it makes Google a better company. Creative companies that charge by the hour can’t match this level of investment. But when you decide to invest zero in the possibility that your talent can create value in unpredictable ways, it suggests you think they are not capable of doing so. Transparency is essential to attracting and retaining great talent. We define transparency as this: telling what you can and explaining what you can’t. Sharing openly encourages your people to give you the benefit of the doubt. Critical to building loyalty. The artist in all of us needs to be recognized. So does the human being. And yet most companies are slow to praise or even to thank. Which is strange since each of us makes a choice every day about where we work. It need not, after all, be here. Saying thank you at the end of every day has always seemed to me to be a small acknowledgement that you take neither their talent nor their choice for granted. Working with entrepreneurs all day every day produces a certain fixation with what is most important to their survival. Unfourtunately, what is best for the business may not (in the short run) be what is best for its founders. Constantly, with existing operating businesses, there is the challenge of how much to compensate the owners and be fair about it. With start-ups, the goal is to get to the place that one can get paid at all. Recently, I ran across the story of Vinyl Me, Please. 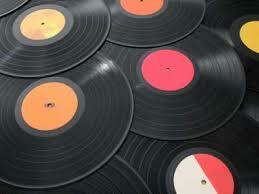 This new business is seeking to capitalize on the revived appreciation of vinyl records. While the number of records sold nationally has increased each of the past five years andby over 17% in 2012, the co-founders are trying to realize the benefit of the trend in their own business and wallets. They still are not earning a living from their efforts, though the prospects of doing so are better than at any prior point. They have recognized that it will not be possible to continue to hand wrap the albums as the business grows. They also are looking at ways to make the personal consulting more efficient. This commentary demonstrates the need for business launches to be very iterative, flexible, and responsive. Finding some group who will purchase your product or services is not enough; sustainability comes with staying attuned to original and ensuing target market needs. 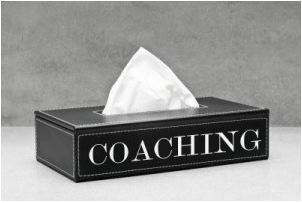 Is Coaching the Facial Tissue or the Kleenex? It seems that for many, ‘coaching’ has grown to generically refer to any interaction a leader might initiate… much like Kleenex’s relationship to all other tissue. But, not all conversations are coaching; and coaching certainly is not Kleenex! As leaders, many of us have gotten sloppy with our language. Maybe it’s because we know that coaching is a desirable behavior within most organizations. Or maybe we want to couch tougher conversations in constructive packaging. In any case, the lack of precision around our language translates to a lack of precision around our behavior… and that’s compromising the power of coaching. The above commentary on the demise of “coaching” as a term and practice comes from a blog post last week from Julie Winkle Giulioni. I share in her lament that a perfectly good word has been misappropriated for a litany of weaker approaches. When I think of a coach, I envision someone who is making a difference in another’s life through one-ton-one impartation, challenging the other person to extract value out of one’s efforts for self-improvement and self-actualization. Giuloni continues with an excerpt below to tackle a more appropriate definition of coaching. When we think about coaching from the perspective of these sample definitions, it becomes clear that coaching is an intentional and deliberate process designed to systematically help others understand themselves and take responsibility for making choices to support their own growth. Ask great questions…. and lots of them. Coaching is about unlocking what the other person knows, feels, wants. Skillful coaches have a seemingly unending array of questions at their disposal. Easy ones. Challenging ones. Interesting ones. Impossible ones. But all designed to help others reflect on and deepen their understanding of themselves and their options. Listen exquisitely. Since questions are the currency of coaching, the real payoff comes with listening. The best coaches are genuinely curious and interested. They listen beyond the words – to the emotions, hopes, possibilities, and concerns. They keep track of what they’ve heard, tuck it away, and use it to continually build a deeper understanding of the other person…and they reflect that understanding back to the other person. Hold the space for possibilities. In the presence of good coaches, more is possible. The best coaches inspire and challenge others to grow by fundamentally knowing that it’s possible. They promote optimism and a sense of capability as they make change and help others find new ways forward. When this perspective is held, performance of those being coached is improved. The generic, bland approach to engaging others on issues that matter gives way to a very defined (branded) process that delivers predictable results–like Kleenex! Having studied causes of business failure and what can be reversed versus what is usually fatal, I can assure that a leading problem for small businesses is unplanned growth. When the pace of advancement exceeds the ability of the infrastructure to keep up–in any category–there will be problems galore. Bankers, CPAs, and attorneys have all witnessed this phenomenon with their small business clients and wished they could have persuaded the founder to slow things down until growth became more manageable. 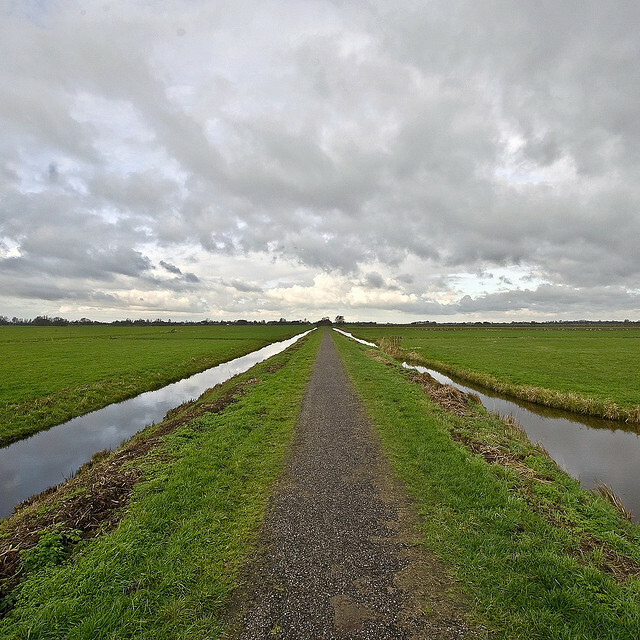 One ditch is the one that catches those businesses that underestimate what they have to do to manage their growth. This is the ditch that most people worry about with fast growing businesses. Entrepreneurs who end up in this ditch spend too much time continuing to be involved in the day-to-day operations of the business and not enough time working on creating an organization that can support growth. These entrepreneurs move too slowly to build a team to whom they can begin to delegate important functions and tasks. As they add employees, they don’t create systems and procedures that make sure work gets done efficiently and effectively. They don’t think about what organizational structure will best support their strategy and achieve their goals. And they don’t take the time necessary to intentionally build the culture they want to have within their business. Entrepreneurs who get caught in this ditch alienate customers with poor service and lose their best employees due to frustration with the constant internal chaos. If failure is the ultimate result, it is not because of a poor product. It is due to poorly managed growth. The other ditch is the one that catches those entrepreneurs who actually over-prepare for growth. These entrepreneurs hire too many managers too quickly, added overhead expenses that the business is not yet ready to support. They also make systems and procedures that are much more complicated than necessary, also adding to cost and bogging down employees and customers in excess complexity and paperwork. Eventually it can seem like employees are serving the system, rather than the system supporting them and making their jobs more manageable. And even worse, customers can begin to feel like they are serving the company rather than the company serving them. If failure is the ultimate result for entrepreneurs who end up in this ditch, it is due to over-managed growth that kills the innovation that made the business special and successful. What, then, is the solution? Cornwall suggests (and I would concur!) balance. The choice to grow should be a conscious choice. Sure–everyone who begins a business hopes it will be successful. Note, however, that growth is not necessarily a sign of success, but can be like an albatross hung around one’s neck. Managed, sustainable growth is more likely to be a solid measurement of success in small business.